I like books that make me think about ideas that I would normally never even consider. 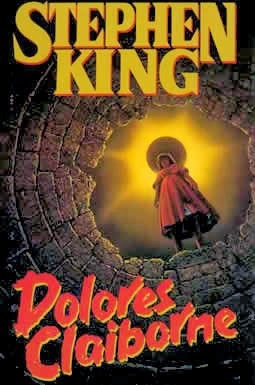 In "Dolores Clairbone" the idea is that murder can actually be a good thing (under certain circumstances). The story is narrated from a first person perspective and it opens with the protagonist's statement. Dolores claims that her confession will be completely true and that whatever she did, she was always thinking about her children first. She is accused of murdering her rich employer, an eccentric lady called Vera Donovan. She looked after her for several years and it seems to have more than a few reasons to kill her. Dolores also states that she did murder her husband but quickly adds that all will be explained in her account of the story. From there, her tale begins. There are no chapters and the narrative flows smoothly as Dolores tells the story of her life. Dolores is a plain woman so the language is fairly simple but I felt it added depth to the account. Nothing is exaggerated, there are no fancy similes. The story isn't too complicated but it is a good one. As a narrator, Dolores goes into detail when she talks about emotions and these are some of the best elements of her story. Nothing is black or white there, no pure hatred of beautiful love. Shades of grey and pragmatism dominate her account. The novel offers some interesting insights into family and social relations in the 1950s/60s. The society was patriarchal and the role of man as the main breadwinner was still dominant. As a result, people were willing to turn a blind eye to things like black eye on a woman's face or treated is as a natural consequence of man exercising his rights as the head of the family.